The Fantasy Hot Air Balloon is a themed sofa that invokes the romantic and whimsical ambiance of a hot air balloon ride! Kids will relate this sofa to the Disney movie “Up”, while parents will feel like being transported to the adventurous tale of Phileas Fogg. This kids sofa helps to create a playful environment that triggers children's curiosity and creativity. The sofa can be customized to fit both boys and girls bedroom designs with a hot air balloon decor. 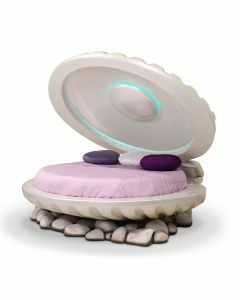 It also includes a sound system and color changing light in the top part, useful for fun and educational activities. 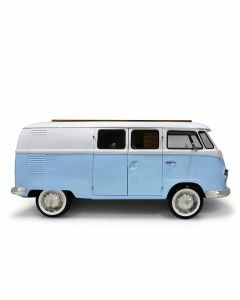 The top structure is fixated on the ceiling and it’s made of wood coated with synthetic leather, the passenger basket includes several storage compartments made by handmade wickerwork. 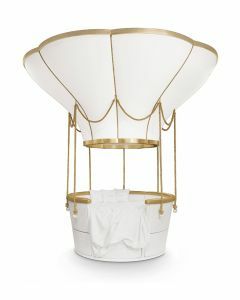 The ropes are made in fiber silk and the exclusivity of the details is guaranteed by the appliance of gold leaf. The sofa measures - 62.9''Dia x 33.4''H. Click images for greater details. Every part of this kids bed is hand-crafted and hand-tailored using the finest materials. For cleaning it is recommended to use only a water based cleaning agent and a soft, lint-free cloth. The production time for this sofa is 10-12 weeks. Please note that this specialty sofa is custom made to order and may not be returned. Please e-mail Customer Service with any additional questions. *Shipping costs are not included in the price. This item ships from Europe to your home. Please contact us for a shipping estimate and applicable VAT taxes. We will require a signed contract upon order. Contact Customer Service to get your quote. All products are carefully packed and inspected prior to shipment. If the item arrives damaged, failure to report concealed damage within 2 days of receipt will result in the denial of your claim.